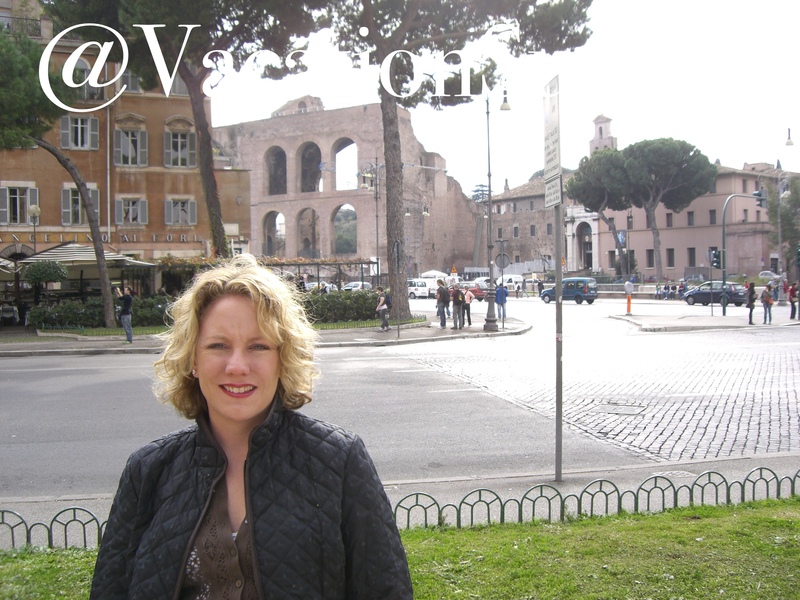 As I’ve shared in my other Rome travel post, we spent an adult-only vacation in Rome over the American Thanksgiving a few years back. It was a perfect time of year to see Rome. No crowds. The weather was temperate and cool. And, the city was beautiful. In this post, we’ve shared our whirlwind four-day, must see list. If you take up our travel plans, bring good walking shoes, get a good night of sleep, and be prepared to fall in love with Rome. An awe-inspiring piece of architecture, to say the least. It was raining the afternoon we first visited which only added to the experience. The rain fell through the skylight, falling to the floor of this ancient church. The dome of the Pantheon is 3 feet larger than the dome of St. Peter’s Basilica, yet it feels much more intimate. Perhaps its because of the military ceremony we witnessed while there. The Romans were honoring their veterans during our visit. It was a simple ceremony, in the middle of this giant building. There were veterans of all ages being honored with song and prayer. We both felt honored to see the reverence the Romans gave to their veterans. As a history buff, this is ground zero. A few years after our trip to Rome, I had the opportunity to visit Bath in England. I was amazed to find so many similarities in how the Roman’s built that city compared to what we found at the Forum. There are audio and walking tours available for rent. We opted to use our go to Rick Steves’ guide book and take our own tour. Smartly, Rick Steves now offers audio tours, using your MP3 player. Maybe worth downloading . The Foro Romano was the political, commercial and religious center of ancient Rome. The new modern city was built up, over time right on top of the old. To me, that is what makes Rome a unique place to visit. I’m standing in front of a small restaurant, with the beautiful, ancient city behind me. Very few places in the world mesh old with new in the way Rome does. In the Central Park of Rome, we wondered a few blocks from the park to find a grocery. Picked up the makings of a picnic and spent a few hours lounging, people watching. The Villa requires reservations, so make those plans several days in advance. And do make reservations, because in the Borghese gallery you’ll see Bernini’s David (yes, the David) and Apollo Chasing Daphne. The grounds of Villa Borghese are worth a stroll too. Beautiful manicured and a little over the top. We lost ourselves, and the time, sitting in the Central Park. When we realized we needed to make it across town to catch the last tour of the Coliseum, we made a terrible decision. We decided to walk rather then take the Metro or a taxi. While it was a beautiful walk, we arrived 10 min too late. So, we sat and watched the late Fall sun set over the Coliseum. All’s well that ends well. Everywhere we walked in central Rome, we could see this monstrous monument. So, we wondered over to check it out. You can’t miss it. This giant structure is a tribute to Victor Emmanuel II, the Italian King, considered the Father of Modern Italy. He is credited with unifying Italy, original a set of semi-sovereign states. Totally over the top, but an interesting view into the Italians. Not to mention, a beautiful view of the city from the top steps. At lunch, we asked our waiter where to take in the Roman nightlife. She didn’t let us down with her recommendation. Trastevere. At her recommendation, we didn’t hit the clubs until around midnight. They were just getting started about then. We hopped from club to club until a little before four in the morning. Ironically, they had an “American” bar with a mechanical bull and peanut shells on the floor. I learned I have the balance to pee in a hole dug in the ground in one of the “ladies” rooms at another club. Just like in the US, they had great food wagons out as everyone spilled into the morning. Definitely gave us a better sense of the Romans, we loved it! As you are guessing by now, we crammed a ton into our four days in Rome. The night life in Rome is wonderful, allowing us to take in more of the city with the stars above. 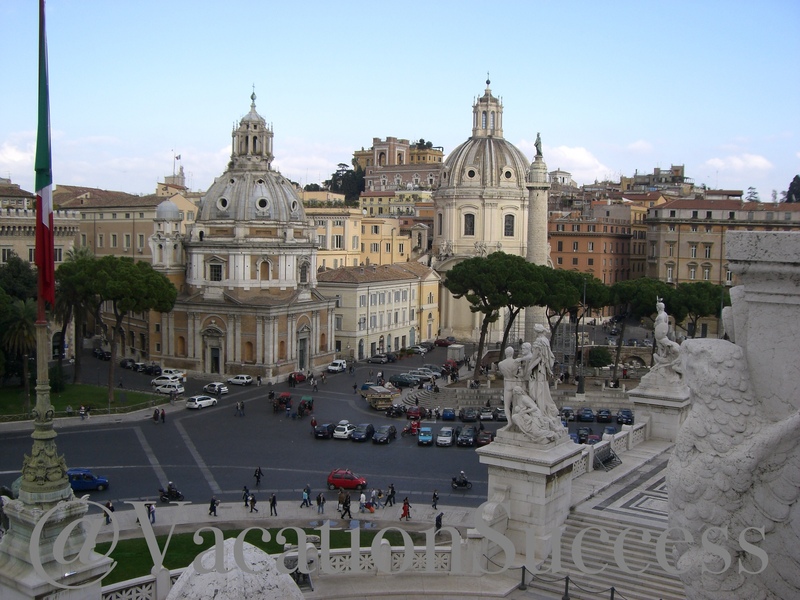 The romantic Spanish Steps lead to a beautiful, bustling part of the city. Take them in, and the sight from on high, on your way to dinner. The walk won’t disappoint. We started at Campo de Fiori (if you plan ahead, this is a great area for dinner) to the steps, between the Piazza di Spagna at the base and Piazza Trinità dei Monti. Rome is a perfect short holiday. Or, add it to your longer, fully Italy, vacation. Either way, don’t miss it. 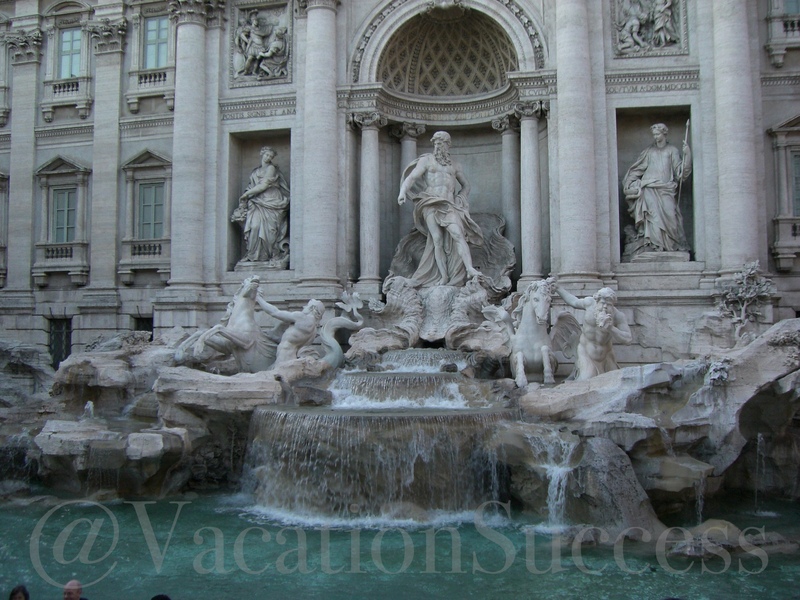 We loved it enough that we visited Trevi Fountain to ensure our return to this beautiful city, throwing our coin in to seal the deal. For more on our Roman Thanksgiving, read our Vatican City post and our Roman Hospitality post.